What should you know about acute bronchitis? What are the signs and symptoms of acute bronchitis? How can I tell if I have acute bronchitis? How long does acute bronchitis last? What natural or home remedies treat and cure acute bronchitis? What is the treatment for acute bronchitis? 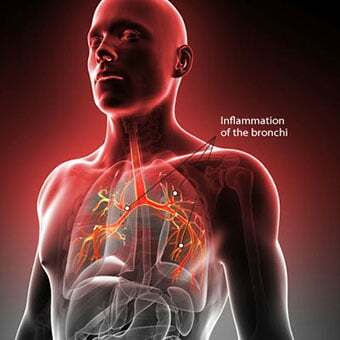 What medications treat and cure acute bronchitis? When should I contact my doctor about acute bronchitis? What are the possible complications of acute bronchitis? The medical definition of acute bronchitis is a cough lasting five or more days suggests acute bronchitis as a cause. Sometimes people with recurrent acute bronchitis (flare-ups) develop chronic bronchitis and/or a respiratory infection. Bronchitis is an inflammation of your bronchial tubes (the tubes that carry air to your lungs and makeup the bronchial tree). The primary symptom of acute bronchitis is a cough. Other symptoms include sputum production, sore throat, nasal congestion, headache, and cough up sputum or vomit mucus. The most common way people become infected with or “get” acute bronchitis is by a viral or bacterial infection; however, other causes may include irritants like tobacco smoke, air pollution, or chemicals. Some home remedies may relieve and soothe bronchitis symptoms. What are the types of bronchitis? There are two types of bronchitis 1) acute bronchitis, and 2) chronic bronchitis. Chronic bronchitis is defined as a cough that occurs every day with sputum production that lasts for at least 3 months, 2 years in a row. What drugs treat acute bronchitis? Some medications may relieve bronchitis symptoms, for example, cough suppressants, NSAIDs, acetaminophen, and antibiotics (for bacterial infections only). In children under age 2, a pediatrician should be consulted before OCT medicines are used. In children under age 2, consult a pediatrician before using over the counter (OCT) medicine. How do you get acute bronchitis? Acute bronchitis is contagious if the causes is viral or bacterial, and will last until the the symptoms go away. Bronchitis usually lasts about 10 to 20 days, if it lasts longer than that you probably have chronic bronchitis, which is defined as a cough that occurs every day with sputum production for the last three months 2 years in a row. Acute bronchitis is inflammation of the bronchial tubes (the airways that allow air to pass from the mouth to the lungs) that usually is caused by viruses or bacteria. Although other irritants for example, smoke or pollution, also may cause the disease, they are far less frequent causes. 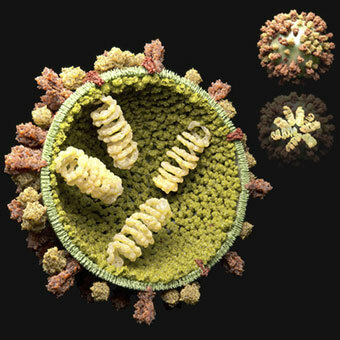 The majority of people with acute bronchitis are contagious if the cause is an infectious agent such as a virus or bacterium. 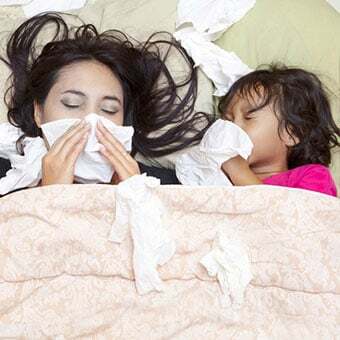 The contagious period for both bacteria and viruses is usually as long as the patient has symptoms although for a few viruses, then maybe contagious a few days before symptoms appear. Contagious viruses that may cause acute bronchitis are listed in the causes section. Tracheobronchitis (inflammation of both the bronchiole(s) and the trachea) may lead to lung infections (respiratory infections like pneumonia). People usually are less likely to be contagious as the symptoms wane. However, acute bronchitis caused by the immune system, exposure to pollutants, tobacco smoke (including second-hand smoke), or other environmental chemicals or toxins that are bronchiole and/or lung irritants are not contagious. If a person develops fever, shortness of breath, cyanosis or chest pain, they likely have another problem but not acute bronchitis. Many people develop mild symptoms of acute bronchitis so often that the exact virus that caused the infection is never determined. In addition, the common cold may mimic an acute bronchitis flair-up. Other irritants (for example, tobacco smoke, chemicals, etc.) may irritate the bronchi and cause acute bronchitis. Consequently, bronchial or bronchitis infections are not the only cause of acute bronchitis. Being in close contact with people that are coughing, sneezing, and touching items that infected persons recently handled. People that are exposed to air pollution, tobacco smoke, and to chemicals that are aerosolized are at higher risk for acute bronchitis. Unfortunately, many people worldwide are at risk of getting this type of bronchitis. About 4.6 out of 100 individuals may develop acute bronchitis each year (or about 12.5 million in the US). The highest risks for the disease are the winter months. 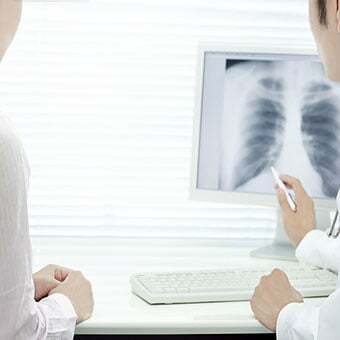 Because acute bronchitis has many causes is often self-limiting within 10 to 20 days and its main symptom is coughing, most doctors consider the diagnosis after a history and physical without additional tests. If the diagnosis is not clear or the specific cause needs to be identified , such tests as sputum cytology, throat cultures, influenza tests, chest X-rays, blood gas, procalcitonin levels and even bronchoscopy have been used to identify specific viral, bacterial and other sources or causes or rule out more severe illnesses (such as a pneumonia). Usually, the symptoms of acute bronchitis are mild to moderate and symptoms like cough are treated for a few days before a more extensive workup is begun. A cough lasting five or more days suggests acute bronchitis as a cause. Acute bronchitis usually lasts about 10 to 20 days. People with recurrent acute bronchitis may develop chronic bronchitis. Chronic bronchitis is defined as a cough that occurs every day with sputum production that lasts for at least 3 months, 2 years in a row. However, acute bronchitis may develop into chronic bronchitis in some individuals and even lead to COPD (chronic obstructive pulmonary disease). Use a humidifier to moisten the air. Over-the-counter (OTC) cough suppressants and cough drops can help reduce coughing symptoms. If symptoms worsen, see your doctor. For children under age 2 (and some doctors recommend under age 6), the doctor should be consulted before OTC medicines are used. Bed rest and supportive care such as reducing coughing are the main treatments for acute bronchitis. Usually, antibiotics are not needed, especially if bronchitis has viral or environmental causes. For some people who have wheezing with their cough, bronchodilators (beta2 agonists) may be helpful. The most useful treatments are directed at reducing cough symptoms with over the counter preparations containing guaifenesin (an expectorant) and a mucolytic. Nonsteroidal anti-inflammatory drugs (NSAIDs) often are added to reduce inflammation and help relieve discomfort. However, the American Academy of Pediatrics does not recommend giving OTC cough and cold medications to children under two years of age. These medicines may cause harmful side effects that can be life-threatening to young children. Side effects include organ toxicity (kidneys, for example) and death. The following medication(s) may be helpful for people with acute bronchitis. Robitussin and Delsym: Use this medicine sparingly because coughing helps remove irritants from the air passages, and you want to cough these irritants out of these passges in the lungs. Mucolytics (Mucinex, Mucomyst): These medicines help remove sticky mucus from the airways. Acetaminophen and NSAIDs: Nonsteroidal anti-inflammatory drugs (NSAIDs) and/or acetaminophen (Tylenol and others) may reduce inflammation and/or discomfort. 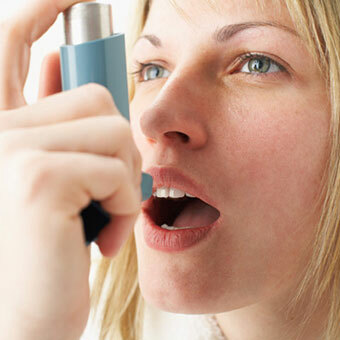 Inhaler bronchodilators: This medicine opens airways, which makes it easier to breathe. Antibiotics: Acute bronchitis is treated with antibiotics only if the cause is bacterial (suspected or diagnosed). Reports indicate that about 65%-80% of people with acute bronchitis receive an antibiotic despite evidence that antibiotics are not effective in treating acute bronchitis (with a few exceptions). Antibiotics are not recommended for routine acute bronchitis treatment. Do not give drugs like NSAIDs and aspirin to young children and young adults due to the risk of Reye's syndrome. Check with a pediatrician before giving over-the-counter medicine to your child. Which specialties of doctors treat acute bronchitis? Primary care physicians and pediatricians often treat acute bronchitis. If acute bronchitis reoccurs (recurring bronchitis), other specialties such as allergists, infectious disease or ENT specialists may be consulted. If you are pregnant, consult your OB/GYN or Midwife. Most people do not need to contact their doctor since acute bronchitis is usually limited to about 10 to 20 days and then resolves. However, call your doctor or other healthcare professional if your symptoms become severe or if you develop a fever that does not go down. Moreover, if other symptoms develop (short of breath, night sweats), if the symptoms persist past about 20 day, or if you have repeated bouts of acute bronchitis during the year, you should contact your doctor. If you think your child has acute bronchitis (especially those aged two and under), call your pediatrician to have your child seen. Some doctors recommend that pediatricians treat children under 6 years old. Complications of acute bronchitis are infrequent but include a respiratory infection like pneumonia (viral and/or bacterial), chronic bronchitis, asthma, and sinusitis. In addition, depending on the pathogen, complications include tuberculosis, whooping cough (pertussis), and other infectious lung diseases. It may eventually lead to development of COPD. CDC. Antibiotic Prescribing and Use in Doctor’s Offices; Adult Treatment Recommendations. Updated: Oct 03, 2017. MCarolan, PL, MD. Pediatric Bronchitis. Medscape. Updated: Jan 22, 2019. Gonzales, R. et al. Management of uncomplicated acute bronchitis in adults. Ann Intern Med. 2001 Mar 20;134(6):521-9.